United Electric Controls is the leader in safety, alarm and shutdown processes. 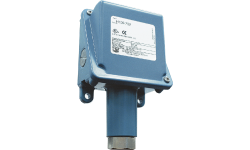 The UE line of pressure and temperature switches and transmitters meet the application challenges of water and wastewater treatment. They provide precise pump control, handle slurry service, submersible pressure monitoring, and stand up to corrosive media and atmospheres. Included in UE’s offering is the innovative solid state One Series that is the ideal solution for isolation ring monitoring, providing a switch, digital read-out and 4-20 mA signal in one cost-effective instrument. For further information read our Water & Wastewater Overview. Filtration is a key operating function of any water & wastewater plant. UE offers a versatile selection of pressure and differential pressure switches for the challenges associated with plugging of spray nozzles; fouling of pipes; blinding of scrubbers, membranes, R/O and analyzers; wearing of pump gland seals; plugging of irrigation heads; or initiating an automatic backwash cycle. Harsh environments and corrosive media require corrosion-resistant protection, so UE switches & transmitters incorporate 316 stainless steel enclosures and wetted material. 12 Series pressure switches provide a rugged, compact solution where instantaneous switching is required – i.e., valve actuation. 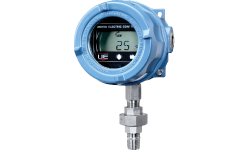 UE’s smart TX200H pressure transmitter monitors chemical treatment and other processes using the 4-20 mA output while transmitting process variable, tag and realtime diagnostic information to a control room using HART® 7 communication protocol. For reliable, repeatable and accurate pump sequencing, you cannot make a better choice than UE’s solid-state One Series switch models. These electronic monitors feature up to two fully programmable set points and deadbands that cover the entire range of the sensor. Modifying these settings is easy, yet remains tamper-resistant. Use the One Series to precisely control pumps while extending life and preventing cavitation. Sensor materials are all 316 stainless steel with welded diaphragms for gage and differential pressure. It’s three instruments in one: switch, gauge, and transmitter. Mineral deposits inside and outside boiler tubes result in inefficiencies causing poor steam production and lack of power produced at the turbine. Avoid costly delays and maintenance by monitoring and trending your reverse osmosis system with reliable and accurate sensing solutions. Automate cartridge replacement with a wide variety of pressure and temperature sensors and reliable switch solutions. The UE line protects pumps and equipment throughout the facility. Using UE’s solid state One Series provides the perfect control of pump operation & sequencing!